Blog post by Michael Ridderbusch, Associate Curator, WVRHC. The West Virginia and Regional History Center recently acquired a collection of photographs documenting Appalachian Folk Music Festivals from the 1970s. 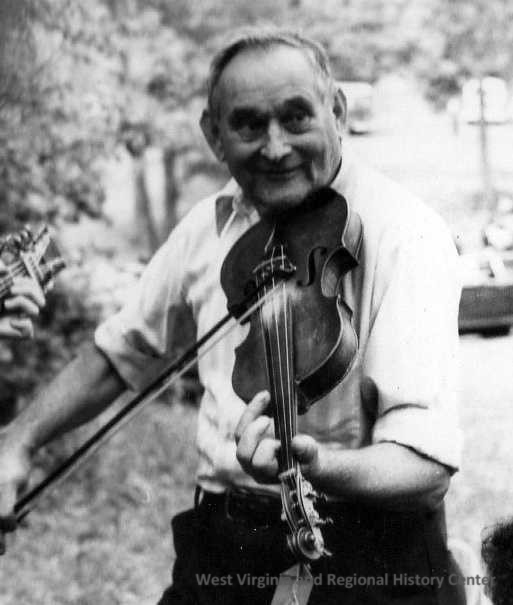 Among the many candid images of musicians playing guitars, banjos, and dulcimers are shots of the fiddlers, many of whom have achieved acclaim as Vandalia Award winners, including Ira Mullins (1982), Franklin George (1994), and Bobby Taylor (2010). In its recognition of a lifetime’s contribution to West Virginia’s traditional culture, the Vandalia Award bestows upon its recipients public recognition of their accomplishments, and sets a standard for future artists and their development. Ira Jay Mullins (1902-1987) was a native of Clay County, and achieved distinction in his day job of managing a saw mill. As a fiddler, he was known for his unique repetoire and playing style, but he also had a way with storytelling and entertaining an audience. This image is appealing in the way it suspends the moment when energy is gathered for the next bow stroke. 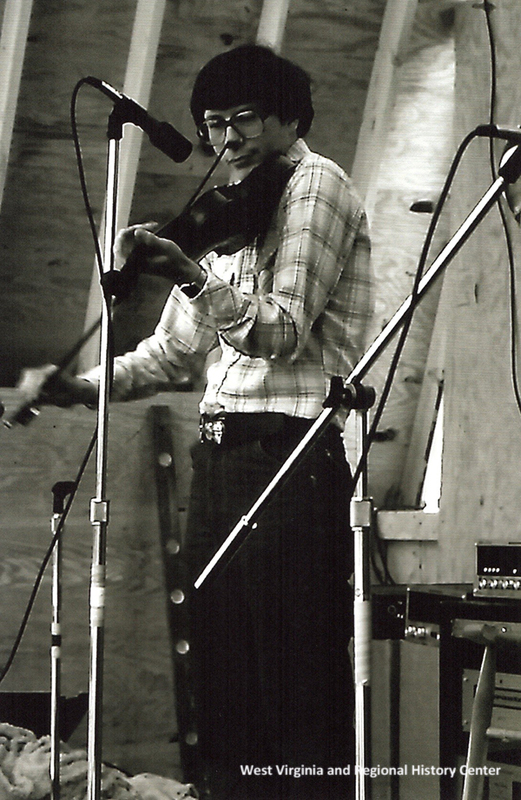 Alan Jabbour, the founding director of the American Folklife Center in the Library of Congress, said that Frank George was “one of the most influential musicians of the last half century in Appalachian music.” Born in 1928 in Bluefield, Mercer County, Franklin was brought up in the musical traditions of his community. When serving in the US Military in Europe, he traveled to England, Scotland, and Ireland to study the roots of Appalachian music. Back home, he participated in festivals, won contests, and later promoted and continues to promote traditional Appalachian musical culture. A native of Dunbar, Kanawha County, Bobby Taylor grew up with music, learning first from family members, and later with the legendary West Virginia musicians Clark Kessinger and Mike Humphreys, both of whom lived near his family home. 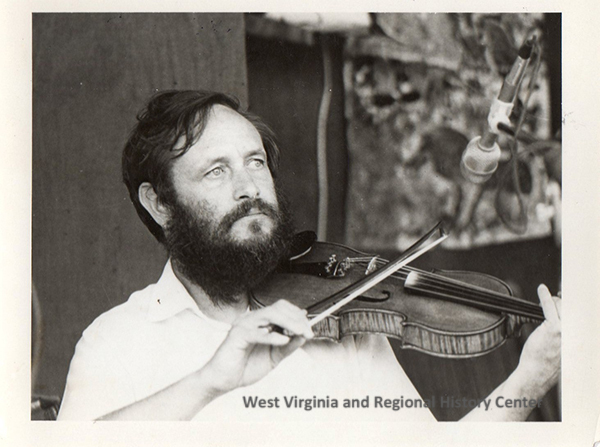 He first achieved statewide recognition when named the 1977 West Virginia State Fiddle champion at the West Virginia Forest Festival at Elkins. In the following decades he’s performed extensively, and has over 30 years experience as a judge and contest coordinator. The acquisition of these photographs is part of a larger mission of the History Center, one of collecting and preserving recordings, photographs, and other material regarding the rural music culture of West Virginia. Information regarding Ira Mullins and Bobby Taylor was obtained through West Virginia Division of Culture and History web pages, and information regarding Frank George was obtained through the West Virginia Encyclopedia website.